How does Education Perfect integrate with Canvas? 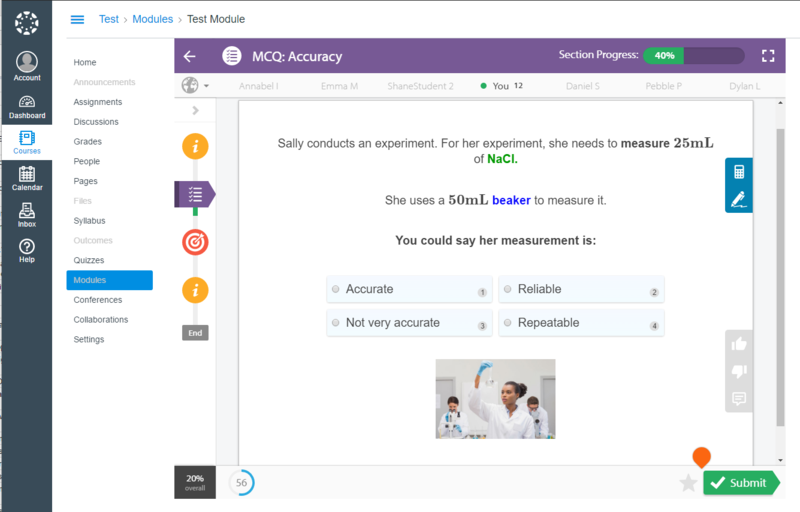 Education Perfect works with Canvas by enabling teachers to embed lessons from our Content Library into a Canvas module without needing to load the Control Panel. Students can then work through the task from within Canvas, instead of needing to log into Education Perfect. Instructions on how to integrate Education Perfect into Canvas can be found here here. To view the results, analytics and recommendations from students' work, teachers log into the Education Perfect Control Panel. Teachers also need to load the Control Panel to create tasks and assessments, although once they are created they can be embedded into Canvas easily.